If you’re looking to preserve the historic nature of your property by maintaining the character-filled elements of its design, Heather & Little’s sheet metal restoration team is here to help. 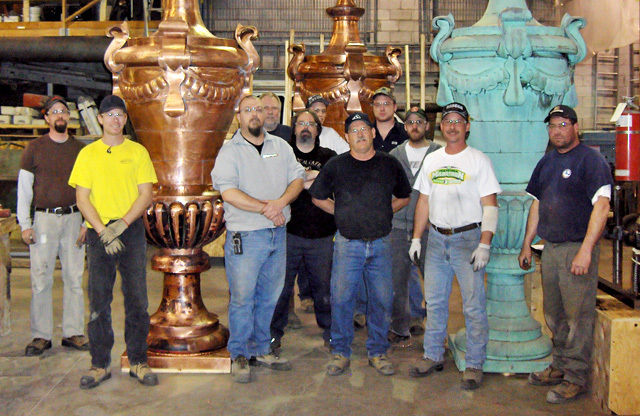 For over 90 years, our team members have restored and repaired hundreds of historic sheet metal elements, from national landmarks and statues to original metal roofing designs. For more than 90 years, the team at Heather & Little has been the first choice for sheet metal restoration, replacement or new creations! We’ve been entrusted to work on some of the most highly regarded buildings in the country, from government buildings to educational institutions and places of worship. To learn more about the high quality craftsmanship you can expect from Heather & Little, take a look at the gallery below to see some of our projects, or contact a member of our team today! The beautiful Canadian Library of Parliament is one of the most prominent libraries in the country. Its restoration involved reproducing all of the stamped decorative copper elements including, copper finials, roof pinnacles, gothic style kalamein windows. 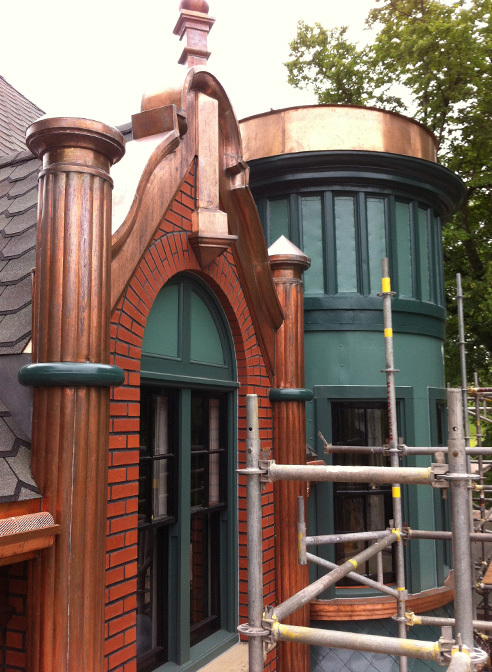 A new batten seam copper roof, restoring the decorative cast iron railings and weathervane. The historic Miss Freedom statue in Atlanta was commissioned in 1888. In August of 2004, Heather and Little proudly took on the task of restoring this beautiful metal statue back to its original glory. 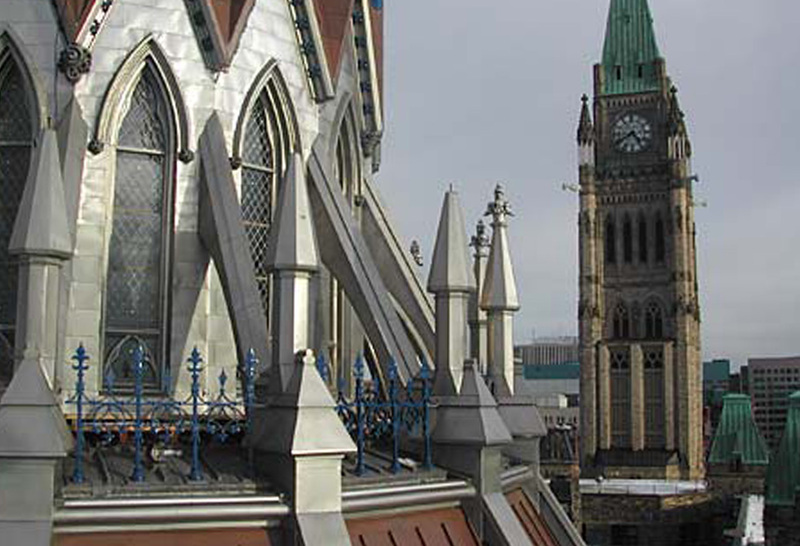 The historic Peace Tower in Ottawa, is the focal point of the Centre Block of the Canadian Parliament Buildings. 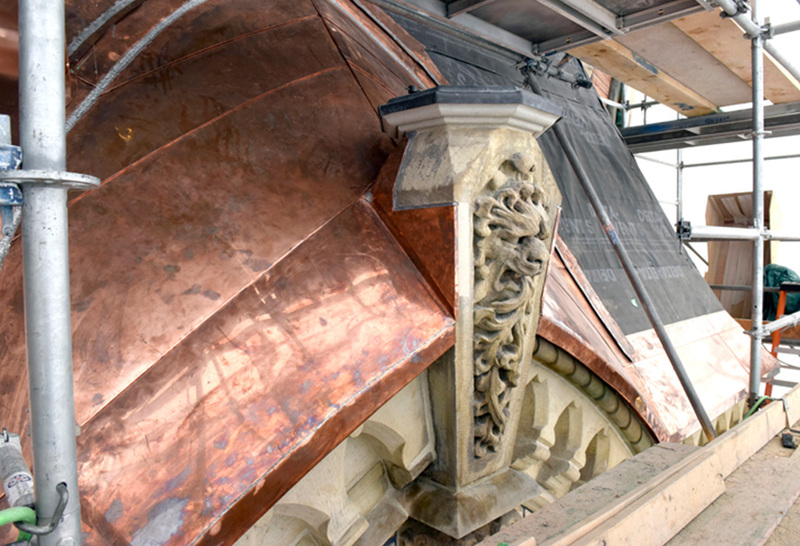 This project involved the restoration of the original 24-oz copper roof on the tower, and restoring the decorative copper cresting, corner finials, and copper dormers. 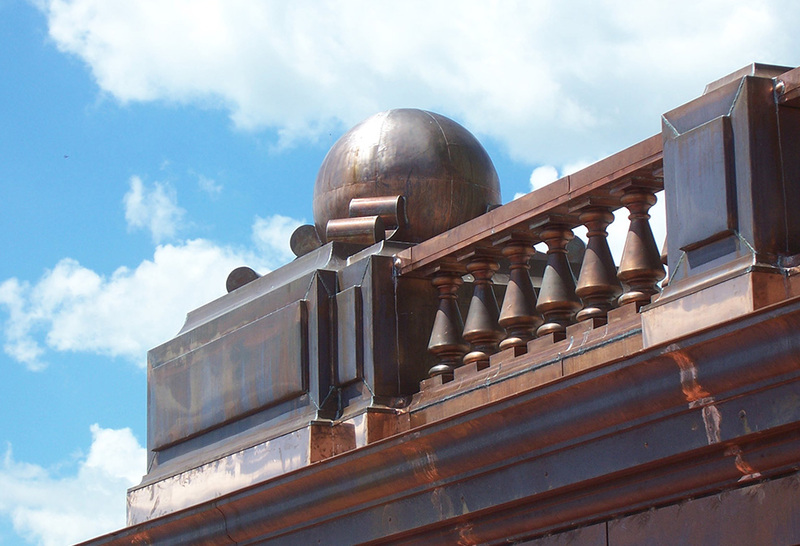 Trumbull Courthouse restoration project required creating custom stamped ornamental sheet metal spanish tiles, new copper finials, and stamped sheet metal wall panels to restore this historic courthouse’s roof to its former beauty. 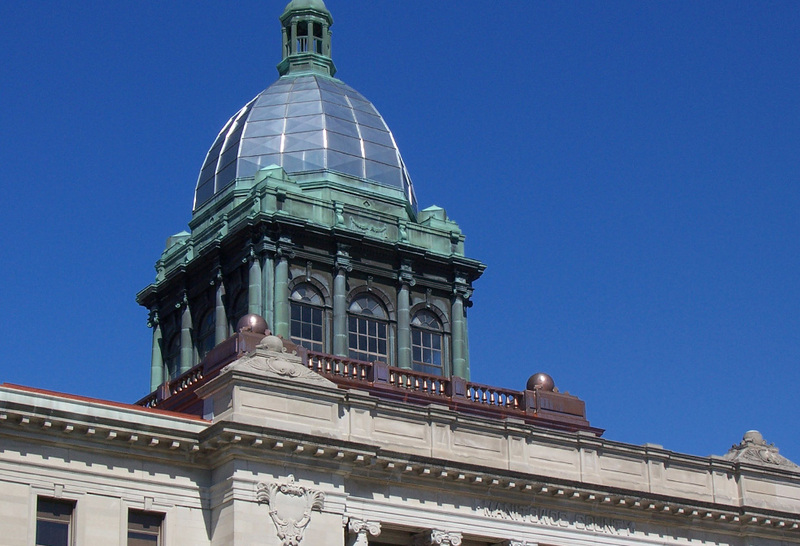 As part of the project, The courthouse originally had 4 Lady Justice statues which were in various states of repairs. Using parts from each of the four "Ladies"Heather & Little created new press dies to produce 3 new statues and restore one original.